Las Vegas is a city filled with thrilling activities, delicious restaurants, and professional sports teams. It’s only up for this desert oasis that millions of people call home. Whether you live here or are just visiting the vibrant city, there is always something new to witness. Let’s look at the latest happenings in Downtown Las Vegas! As the weather gets nicer and Vegas rings in spring, concerts and outdoor events begin to pop up. Attendance continues to grow at the DLVEC, dubbed “Downtown’s largest playground.” The center provides Downtown Las Vegas residents and visitors with a diverse list of performers and has hosted snowboarding competitions, the Goo Goo Dolls, food festivals, and much more. Continue to keep your eye on this new space as it grows and hosts even more amazing events. The Neon Museum was founded in 1996, opened to the public 5 years ago, and has already made a wonderful impact on Downtown Las Vegas. Curious visitors can feast their eyes on iconic Las Vegas signs from the past and present and the main goal of the museum is to collect, preserve, study, and display the signs that have shaped the city’s history. In addition to the museum we already know and love, the Neon Museum has been rolling out a new $452,000 expansion project. They purchased the vacant building next door and made room for 30 new signs, including some from the Riviera, Stardust, Spearmint Rhino, and The Polynesian. 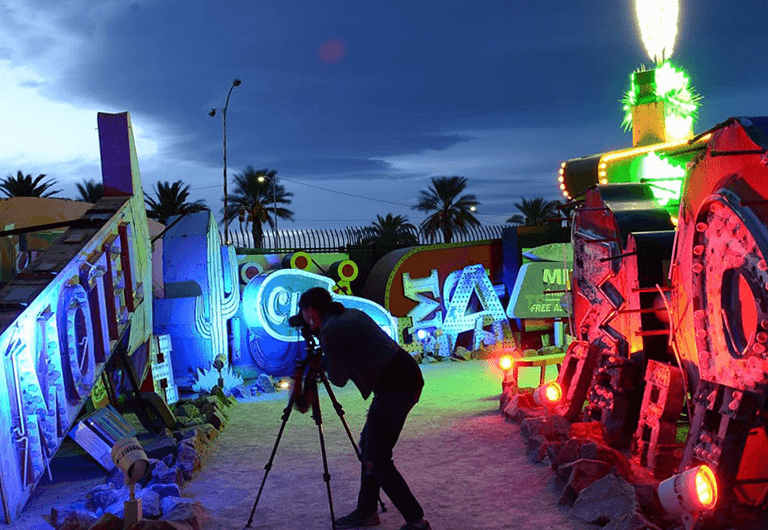 As if the expansion wasn’t enough, president and CEO of the Neon Museum Rob McCoy also plans to build a new entertainment attraction called Brilliant!, which will feature lights, sounds, and sights from the museum. The 30-minute show will use lasers to reanimate some of our favorite signs and is sure to blow us away. We bet you’ve never experienced something quite like Downtown Las Vegas’ new attraction, Axehole! At this throwing range in Neonopolis, visitors can throw an ax, knives, throwing stars, and more at various targets. Whether you’re looking to blow off some steam or just mix up date night, Axehole is your spot. 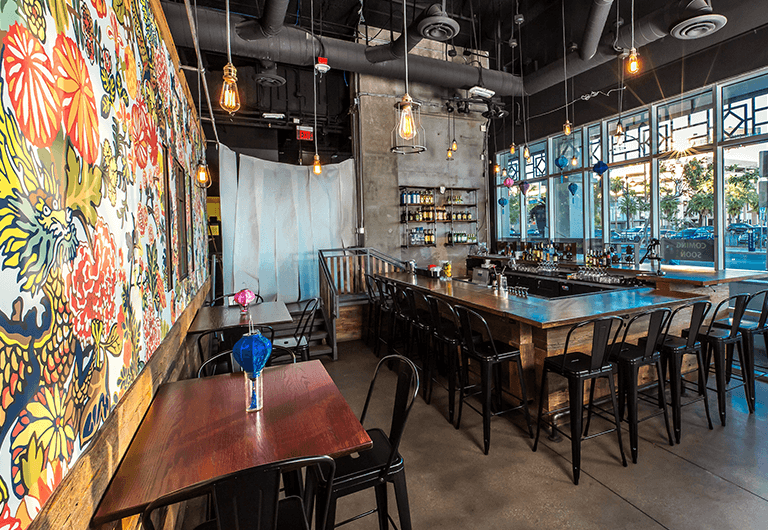 One of the newest restaurants in Downtown Las Vegas is Flock & Fowl, located on the bottom level of The Ogden. Before the concept of Flock & Fowl was born, owner Chef Sheridan Su was on the opening team for a variety of Las Vegas restaurants such as Joël Robuchon at the Mansion, Social House, and more! After meeting his wife, Jenny Wong, the duo developed their first project, Great Bao, a small cafe with a gourmet food truck. They then opened Fat Choy, an Asian American diner. Finally in 2015, the couple introduced Flock & Fowl, which features some of their favorite comfort foods. At Flock & Fowl, you can expect to dine on the Chef’s picks for his own family. All natural, all pure, and most definitely all fresh! Stop by and indulge in a meal during your next Downtown Las Vegas stroll. Another new bar and restaurant in the area is Eureka!, located near the Fremont Street Experience. Eureka! is the first chain restaurant to make Fremont East its home and guests can enjoy American twists like mac n’ cheese balls, burgers (try the Cowboy! ), craft beers, and small-batch spirits. Don’t miss out on their weekend brunch menu, which includes Bloody Marys, steak and eggs, and much more. If pasta and pizza are calling your name, you’re in luck! Esther’s Kitchen brings seasonal Italian soul food to The Arts District. 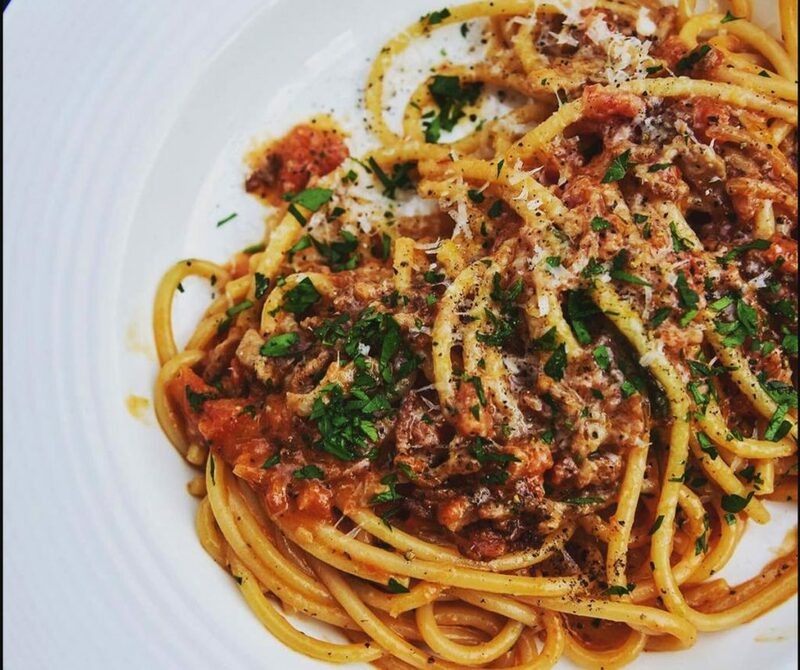 Or, as Chef Trees himself calls it, “Roman trattoria-style pasta in Vegas.” The lunch menu features salads, pizzas, pasta and sandwiches, while dinner is focused on more classic dishes. No matter what you choose, though, you’re sure to fall in love with this fun Downtown spot. Corduroy is one of the newer bars to take up residency in the Fremont East district, and has been nothing but a hit since opening in August 2017. Corduroy brings together throwback rock ‘n roll, modern art, laid back lounge pits, and high energy fun. This hot spot has it all, so the next time you find yourself in Downtown Las Vegas, bring the crew, grab a Moscow Mule, and enjoy the evening. With a new year comes a new round of events for the Las Vegas Arts District, including First Fridays. The theme of the first event of 2018 was “commitment” and guests enjoyed live entertainment played throughout the block, different art styles, an art walk, food and beverages, and an antiques and activities alley. If you’re looking to soak up all the culture that Las Vegas has to offer, then you don’t want to miss out on any First Friday events. 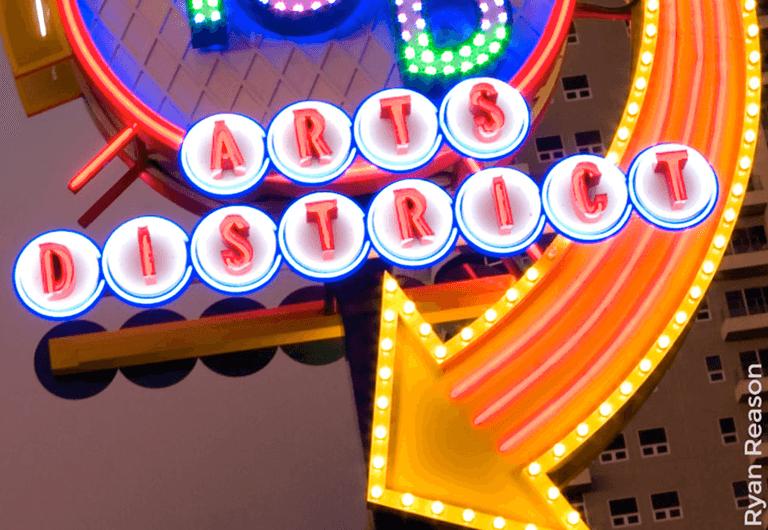 The Las Vegas Arts District also holds a variety of events throughout the month, such as karaoke nights, art workshops, comedy shows, and much more! Take a stroll through Downtown Las Vegas on any given day for a variety of fun! 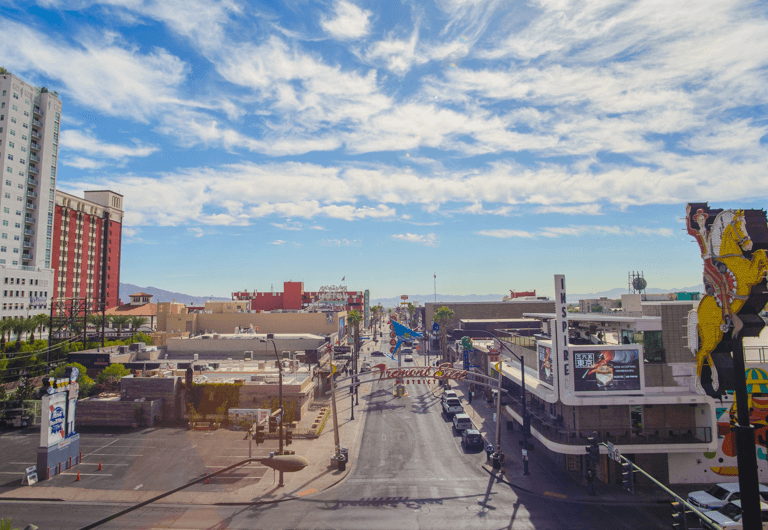 Our Downtown Las Vegas community is always growing and both residents and visitors enjoy the many new spots popping up in the neighborhood. And even better, most of these spots are within walking distance from your home at Juhl. Thanks to the area’s walkability, eclectic flair, and growing economy, it’s no surprise that more and more people are giving the area the love it deserves.